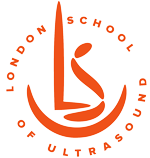 London School of Ultrasound runs Annual Early Fetal Scan Conference every autumn. The Early Fetal Scan Conference aims to raise awareness to early diagnosis and management of different fetal anomalies. The second Early Fetal Scan Conference will explore the emerging and controversial topics of ultrasound diagnosis at 11-14 weeks. We are totally committed to the idea of early detection of fetal anomalies at 12-13 weeks. Recent systematic reviews of studies published in 1991-2014 found that first-trimester screening could identify about half of all anomalies(1). We are sure, that with the use of new advanced ultrasound scanners and high-resolution probes together with systematic training of ultrasound specialists the detection rate will be much higher. The contemporary vision of the 11-13 weeks scan: a new alternative approach for early detection of fetal anomalies instead of looking for chromosomal markers. EF scan represents a systematic from top to toe anatomical review of the fetal organs with special attention to the heart and brain. The optimal time for EF scan is 12-13 weeks of pregnancy (around 12+5 weeks). 11 weeks (CRL below 55 mm) is the suboptimal period due to fetal immaturity (especially brain) and insufficient resolution.